Mongrel are an American female fronted punk band from the Boston (Massachusetts) area. 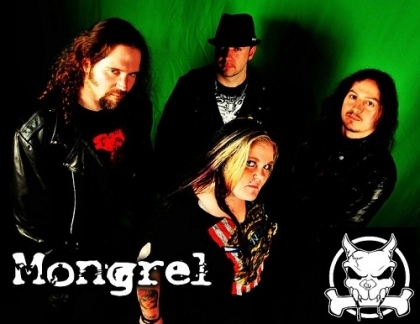 Founded in 2003, Mongrel has toured extensively, playing with bands such as FEAR, Blitzkid, Trashlight Vision, Michale Graves, and shared stages with the MISFITS, GWAR, Korn, Otep, Prong, Wednesday13, Luchagors, Fu Manchu, Psychostick, Dizzy Reed (Gn'R), Piggy D (Rob Zombie) and many more. 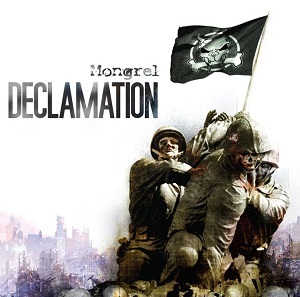 To date they have released one full album (2006's "Fear, lies & propaganda"), and three EP's - "Revenge" (2009), "The new breed of old school" (2010), and their current release, "Declaration" (2011). "Start the riot" kicks off the EP with lots of power, great music and lyrics. Really thats how the whole EP goes - great music and lyrics with lots of attitude. "Declamation" is a great EP. I look forwards to hearing more from this band in the future - judging by this EP, their next release cant come soon enough.